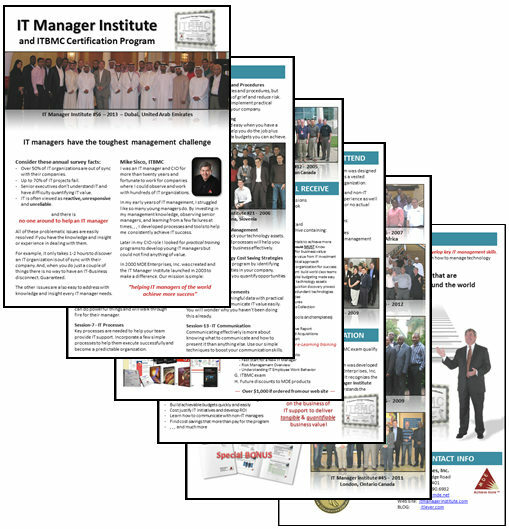 The IT Manager Institute is one of the fastest ways to develop critical IT management skills you need to achieve IT success. IT managers have the most difficult management role in a company. Unfortunately there is usually no one around who can help a struggling IT manager or CIO, , , or who is able to develop young IT managers. IT success is achievable when you have a process to follow, knowledge and insight about what you need to do, and tools to help you execute. 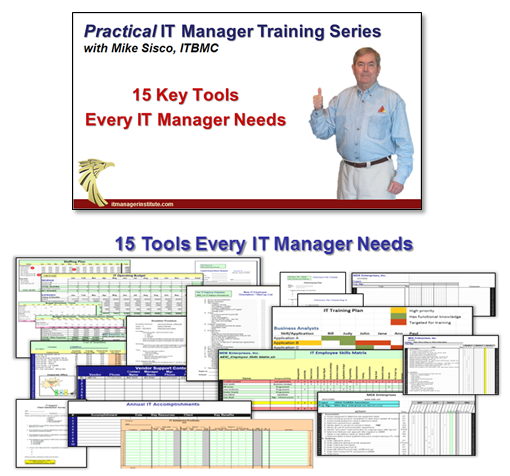 The problem for decades is that you couldn’t find practical training to learn how to manage an IT organization successfully. 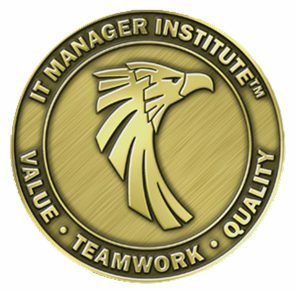 The IT Manager Institute was created in 2003 to address this problem and has been making a positive impact. 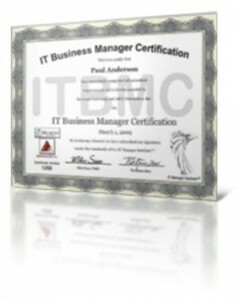 Thousands of IT managers around the world use our proven processes and tools to help them achieve more IT success. The program follows a structured IT Management Process™ and includes all the management tools you need to give you guidance and confidence in managing any IT organization. Confidence comes with success. 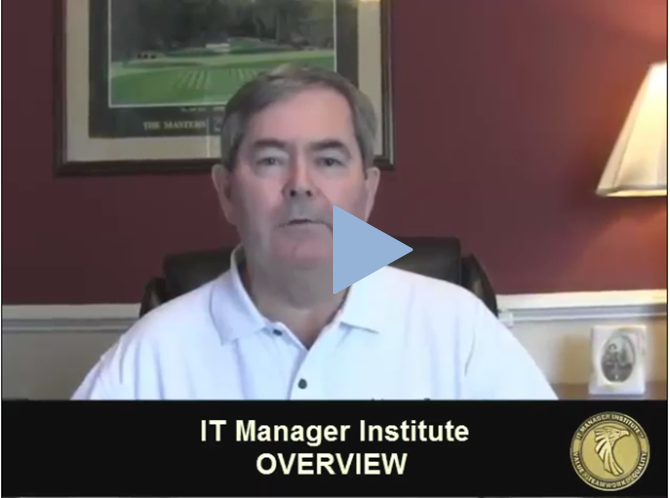 Everything you will learn and receive in the IT Manager Institute was built to achieve IT success. All processes and tools were developed and used in real IT manager and CIO management situations, , , there is no theory, , , just practical resources that are easy to use and that work. 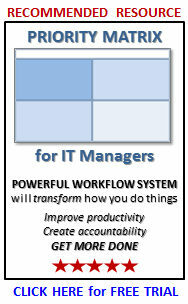 Follow our IT Management Process™ and you will achieve more IT success. The Institute is available in scheduled classroom and webinar classes plus an online self study. 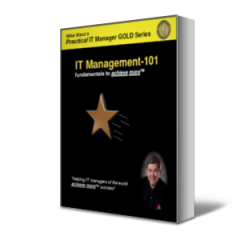 Each version includes identical presentation material and bonus resources along with the ability to take the IT Business Manager Certification (ITBMC) exam. ITBMC status recognizes something very important. It represents you understand the importance of your IT organization to deliver business value and to manage the business of IT support versus managing technology. This is a huge difference and part of what distinguishes highly successful IT managers from others. Go to our Schedule Page to register. 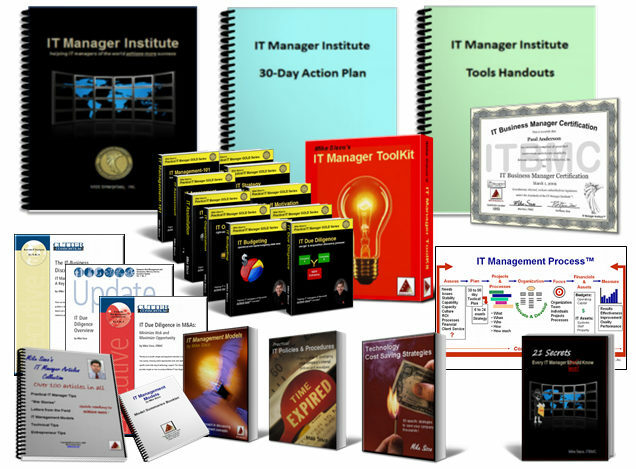 We created the IT Manager Institute Self Study program so any IT manager in the world has access to the most practical training to succeed in the most difficult management role in a company – IT manager. We know that many can’t afford the time or travel expense to attend the live classroom version so we created the self study version to ensure every manager who wants to invest in developing key IT management skills to achieve more success has the ability to. The self study requires no travel or time away from your office and it is one of the most cost effective ways to improve your IT management success. CLICK HERE to learn more. Go to the Training Schedule Page to register. Visit the Photos Page to see testimonials and class photos.